Democratic Presidential candidate Beto O'Rourke campaigned on Monday morning at several cafes and a union training center in metro Detroit. The Michigan stops come after last week's campaign rollout that included a Vanity Fair interview and an Annie Leibovitz cover photo of a rugged-looking O'Rourke that seemed to play to his "cool" candidate image. 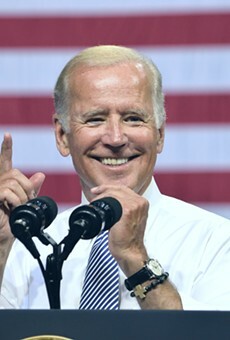 In his explanation of why he's running, he told the magazine, "Man, I'm just born to be in it," while recent stories highlight that he once played in a punk band and was a "hacker." But while some may love his style, others are critical of his substance. As a U.S. House representative in a solidly blue district in and around El Paso, O'Rourke voted with Republicans around 30 percent of the time — more than most Democrats in Congress, according to an investigation by Capital & Main. He supported Republican efforts to limit the authority of the Consumer Financial Protection Bureau, which was established by Obama and Democrats to protect Americans from Wall Street following the recession. 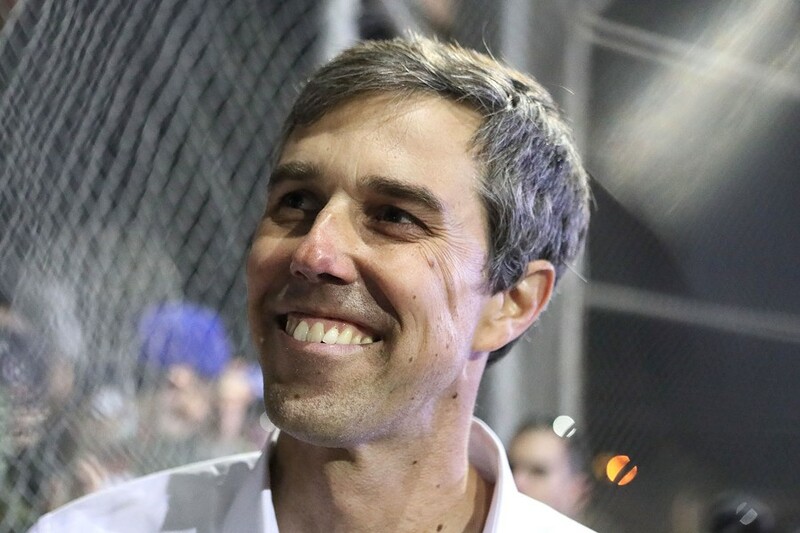 O'Rourke also broke with the party to support Trump and GOP attempts to loosen requirements in hiring border patrol agents; chip away at the Affordable Care Act; kill a ban on oil drilling in parts of the Gulf Of Mexico; and lift the 40-year-old oil export ban. He also supported Republican legislation that protected utility companies that start wild fires. A separate investigation found O'Rourke lied about taking money from the oil lobby. During his 2018 Senate campaign to unseat Ted Cruz, O'Rourke took a "No Fossil Fuel Money" pledge in which he said he wouldn't accept more than $200 from oil PACs or individuals from the oil industry. But media investigations found he took $430,000 from the oil and gas industry, of which 75 percent came from donations exceeding $200. The Centerline, Ferndale and Detroit stops were among the earliest for O'Rourke, which underscores Michigan's importance in 2020 — Trump was the first Republican to win here since 1988, and Dems think they can retake the state. 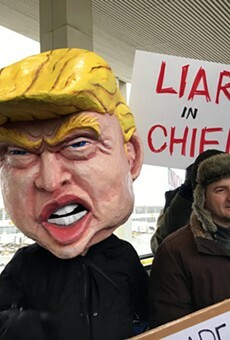 A recent EPIC/MRA poll found that nearly half of Michigan residents "definitely" will not vote for Trump, compared to 31 percent who said they definitely will. Read more about O'Rourke's votes here.